The ‘free-trade’ agreements, NAFTA and CAFTA have caused more inequality, devastated the local agricultural economies in Mexico and Central America, and pushed their agricultural workers into poverty –causing them to flee to the U.S. border. The agreements have given the U.S. maximum access to Latin American resources and markets, while the U.S. has conceded very little to them. U.S. corporations have profited on their investments in the energy, financial, textile, manufacturing and agricultural sectors in Latin America, but Mexican firms – in particular - have been blocked in their efforts to access those same U.S. sectors. The trade agreements ended most of its agricultural subsidies and manufacturing tariffs in Mexico and other countries, but the U.S. was allowed to keep its subsidies intact. Before NAFTA, almost 75% of all agricultural production in Mexico was from communal farming areas called ejidos. 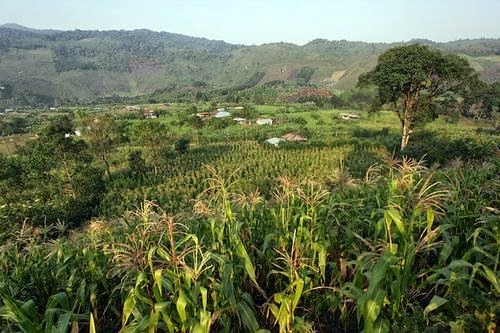 The ejidos encompassed 29,000 communities and three million producers. This cultivated land was not titled to anyone. 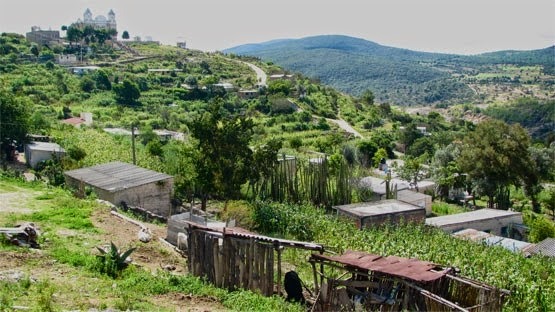 In fact, the Mexican constitution recognized ejidos as a social, cultural, and economic pact among community members for the use and cultivation of communal land, indefinitely. The land could not be bought and sold, but it was divided into separate family holdings that could be handed down to heirs. Mexican President Carlos Salinas de Gortari eliminated the constitutional right to ejidos in 1991 in preparation for NAFTA. Existing ejidos were not dissolved, but the change in the law allowed community members to title, buy and sell their parcels. The change also ended the government subsidies that helped the ejidos through lean times. After NAFTA, many farmers were given title to their parcels of land; however they could not compete with the subsidized products like corn and grains from the U.S. NAFTA ended all government subsidies in Mexico for beans and corn, but it did not prohibit subsidies for U.S. farmers. In fact, U.S. subsidized corn was exported to Mexico at 19% below the cost of production. The flood of cheap U.S. corn, in particular, was devastating to the Mexican economy and social fabric. Not only is corn a healthy food staple for the poor, the crop supported 40% of all Mexicans working in agriculture – about three million farmers. NAFTA effectively drove 1.3 million Mexican farmers out of business. The monthly income of a self-employed farmer dropped over 80% in the first ten years of NAFTA. You would think that a Mexican farmer with a title to a parcel of land would be economically empowering. That would be true, if the farmer had enough other assets, like farm equipment, to start-up and make it on his or her own. Many small farmers did not have enough assets to satisfy a lender for a farm equipment loan. Also, it is difficult to negotiate a good selling price for a small amount of corn or other crop. The greater economic buying and selling power of a collective group of farmers was what sustained many agricultural communities before NAFTA. The carefully crafted NAFTA treaty allowed the free-flow of capital, goods and services from the U.S. to flood Mexico, but it did not allow the flow of labor across the border. What happens when NAFTA and CAFTA dissolve a market that collective farming communities have depended on for generations? You create a large displaced group with few options. They flee to wherever they can find a job using their limited skills, so they can feed themselves and their families. The United States is reaping the harvest of the seeds sown by NAFTA, and now CAFTA. The bitter fruit of undocumented, economic refugees – and now their CHILDREN - have flooded the southern border. Meanwhile, the profits of Big-Ag and multinational corporations have never been higher. The Dow Industrial Average just hit 17,000 points. Rather than talk about the politics that target the symptoms (blaming undocumented immigrants), we should be focusing on the root causes of the immigrant crisis. NAFTA and CAFTA have disproportionately affected the most vulnerable socioeconomic groups in Latin America, the failed ‘war on drugs’ has enflamed the narco-violence and political corruption in the countries to our South, and the sum of the two has multiplied the refugees with little choice but to immigrate to the U.S.
Do we want to stop the immigrant crisis? Let’s start by renegotiating ‘free trade’ agreements, lessening U.S. farm bill subsidies to a more reasonable level, and diverting the money already being spent on military aid/arms, to funding infrastructure (construction) and other development that creates jobs. In short, turn arms into ploughshares!